For Round Mountain on Nason Ridge, check out this post. Weather so far has been great this Thanksgiving weekend; pups and I managed to make the best of it. Our second visit on this mountain. First time we started much earlier and we got to enjoy much of the day’s sunshine. This time we caught the tail end of the day and stayed through sunset. 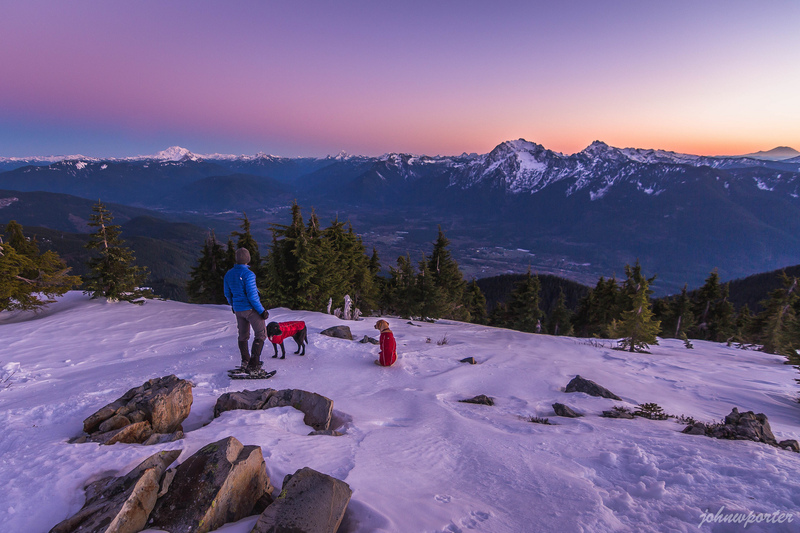 Put on snowshoes just before reaching the 4360′ knob, and used them all the way to summit. The evening colors were crazily vibrant, with lots blue hues. Great views of some notable North Cascades peaks as always. Left the summit past sunset and scrambled back to the car in the dark.